Cost: The Taste of Portugal event ‘Bisaro Pork Tasting Menu’, priced at £65 or £95 with wine-pairing, was specially created by Chef Ricardo Costa and Sommelier Antonio Lopes to highlight this uniquely Portuguese breed of pig for the Taste of Portugal campaign. But if you missed the event, Portal’s a la carte menu offers plenty of opportunities to try Portuguese pork Bisaro or otherwise - sliced 40-month Pata Negra ham can be ordered by weight (£19/50g), starter of pork belly, black pudding and cabbage (£8), whilst Bisaro pork served with broad beans, chouriço, carrots and turnip (£25) is a popular fixture on the menu can be ordered as a main course. With three days’ notice, determined diners can even order a traditional Bisaro suckling pig, to feed 8-10 people, for £385. The restaurant takes its exclusively Portuguese wine cellar seriously, and though there are few bottles below £20, a large number are priced between £20-30 or available by the glass. 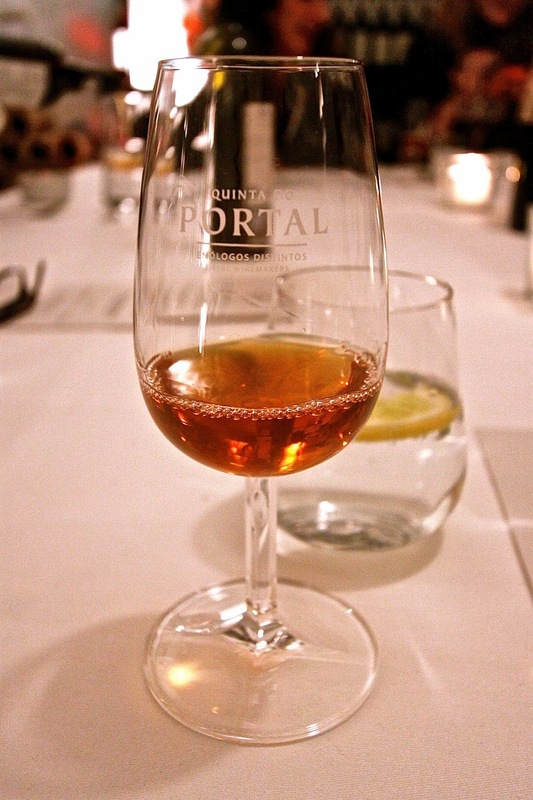 About: Portal is one of London’s finest Portuguese restaurants, opened nine years ago by Antonio Correia, this is a favourite haunt of mine and the place I head to whenever I crave fine Iberian cuisine, please see reviews here and here. The evening we visited was organised by Taste of Portugal, a campaign by Turismo de Portugal. 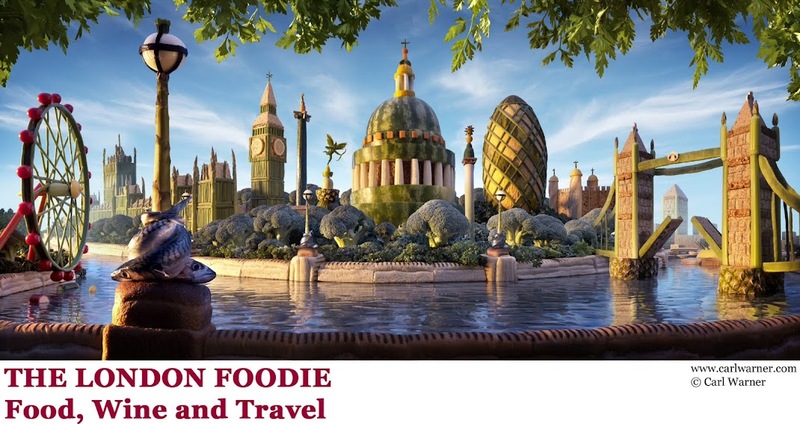 Taste of Portugal 2015 is a season of culinary and cultural events - it is a great campaign I support strongly, directed at British foodies, as it highlights the relatively undiscovered cuisine and wines of this amazing country. If you haven’t visited Portugal yet, read on and be tempted. There are still several Taste of Portugal events still to come (check their website here). On this latest visit to Portal, the menu was created by Ricardo Costa, a young chef who started his professional career in Portal’s kitchen years ago, before returning to Portugal where he is now Executive Chef for the restaurant in Porto’s exclusive Yeatman Hotel, which has the city’s only Michelin star. Bisaro pork, which was at the heart of the menu we sampled, is one of Portugal’s proudest specialities. These pigs are from the Vinhais region in the north of the country, and are actually part-boar, growing to be more than a metre in length. Having been fêted for more than a century, they are fed on a traditional diet including chestnuts and acorns, giving the meat its rich and nutty flavour. What We Ate: The first course was a game and chicken sausage, made by Costa’s team in the kitchen of the Yeatman Hotel. This is known as alheira sausage, and was invented by Portuguese Jews in order to fool the Inquisition that had forced them to convert to Christianity. This was followed by a spectacularly rich belly of Bisaro suckling pig, served with taut slices of cardinal prawn (another ingredient native to Portugal) and a mixed sprout salad. The suckling Bisaro is one of Portal’s specialities, and the gamey, crispy meat lived up to its reputation. I love the Portuguese flair in combining seafood and pork so well (as in pork Alentejano style with clams), and I wonder whether this is something they picked up during the colonial period in China (Macau), or vice versa. The Bisaro pork returned again in a stew, made with a caramelised pistachio and Madeira wine sauce. Costa placed a succulent loin of pork in the centre of the bowl, with its cooking jus spiked with Madeira poured over it at the table. The loin of Bisaro pork, despite being less fatty than the belly, was still very succulent, and it was interesting to note that this leaner cut was just as flavoursome. The most surprising dish, however, was dessert: an Abbey of Priscos pudding served with citrus sorbet and cured Bisaro pork. The bacon transformed this traditional pudding of egg, lemon and sugar, with its salt unlocking the creaminess of the rest of the dish. Inventively designed to resemble a fried egg, the pudding was served on a base of pine nuts and with a garnish of red berry jelly. This level of detail is unusual in a dessert, and made it the unexpected star of the meal. What We Drank: The evening began with a Portonic - a simple but refreshing cocktail of white port and tonic that easily gives the G&T a run for its money. White ports may be sweet or dry, but in this cocktail, a bone-dry version was used, making it a great accompaniment to a bowl of salted almonds, or, as we had it here, with Bisaro pork crackling. 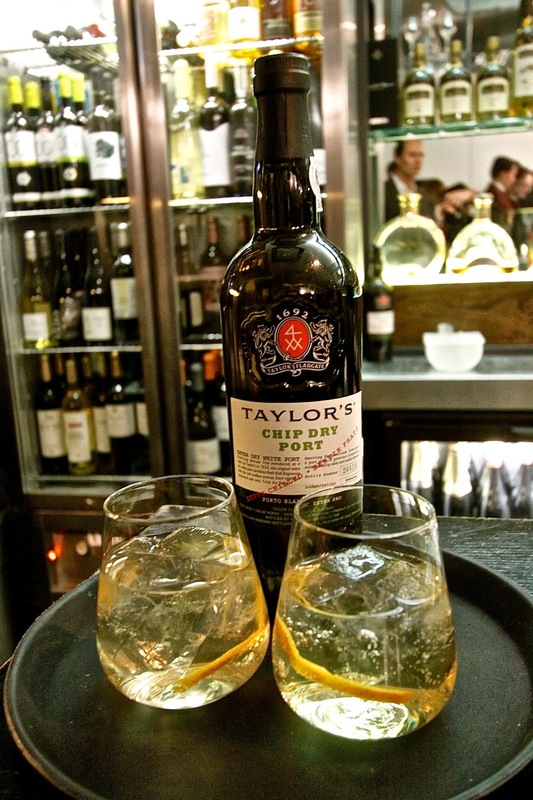 The white port we tried is available for purchase at Waitrose. The wines for the evening were chosen by the recently appointed Official Taste of Portugal Sommelier, Antonio Lopes. Our first, a glass of Principal Rosé "Tête de Cuvée" 2010, was a good choice for the alheira sausage, with gentle berry and floral notes. It was followed by another rosé, a sparkling Campolargo Pinot Noir Brut 2012 also from the Bairrada region. Much bolder, with strong bubbles and berry notes, this went excellently with the sweet Bisaro crackling. 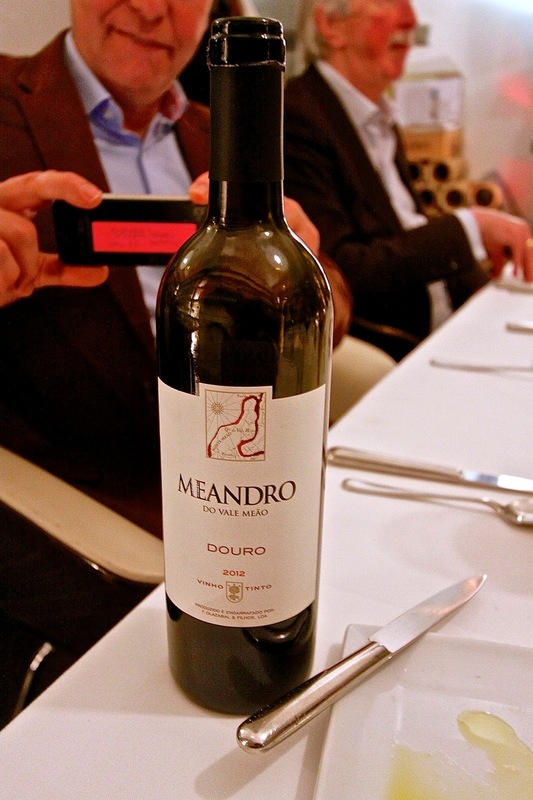 The Bisaro stew was accompanied by a Meandro 2012, a darkly intense, fruit-driven wine with gentle tannins. 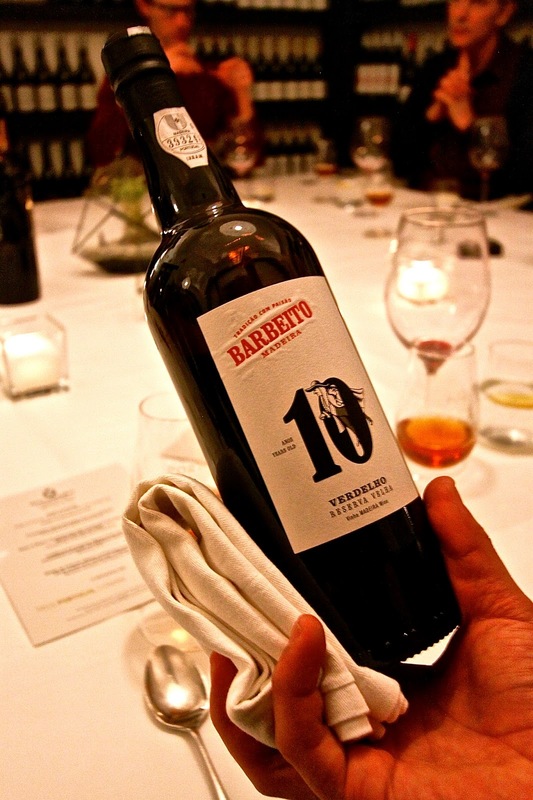 With dessert, we had a 10-year old Madeira wine: Barbeito Verdelho Old Reserve. Golden in colour, and with plenty of acidity to balance its sweetness, this was a blissful end to the meal. 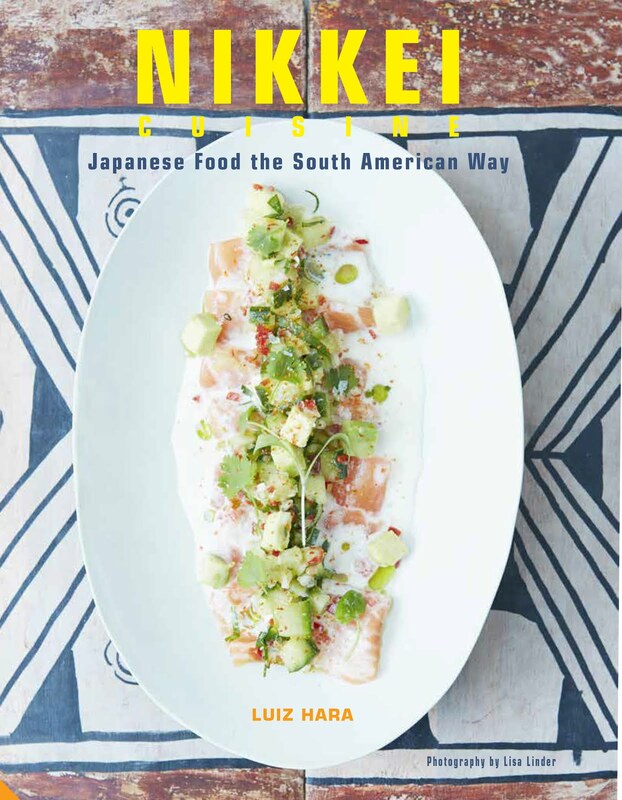 Likes: The Bisaro pork was magnificent, and in the capable hands of Ricardo Costa, it was elevated to the sublime. 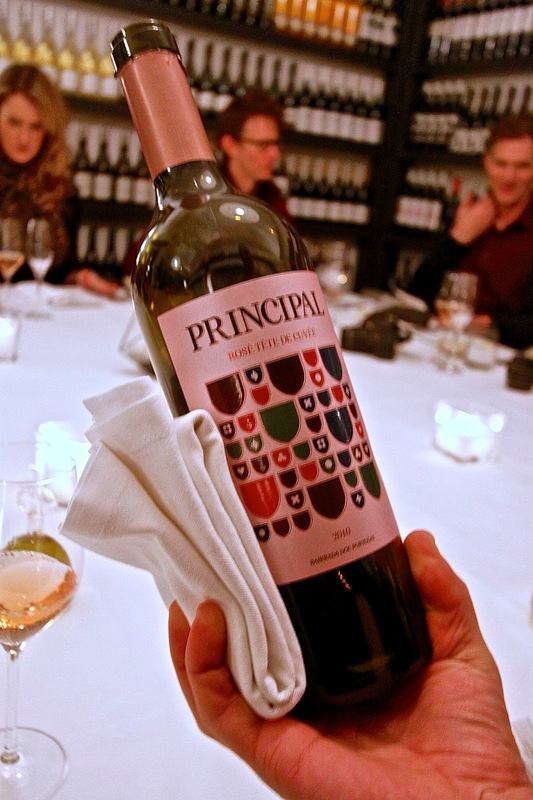 Portal has one of the UK’s finest Portuguese wine cellars, and this meal’s wine pairings showed that some relatively undiscovered national wines can stand shoulder to shoulder with the best of France or Italy. 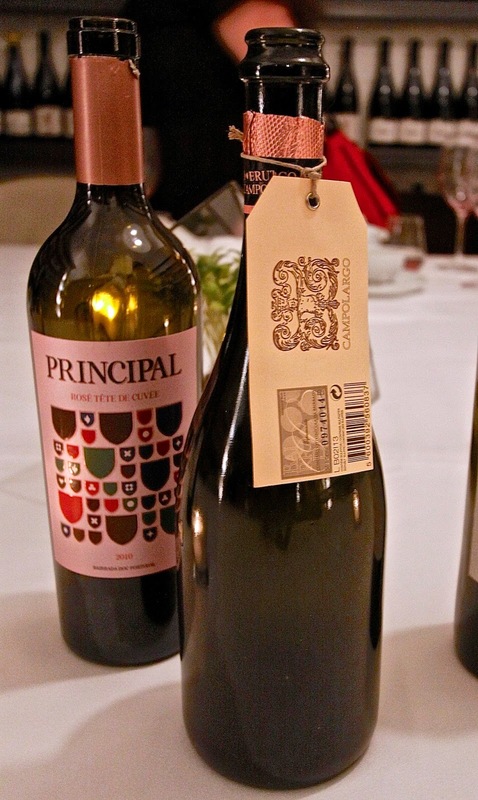 Verdict: This Taste of Portugal 2015 event featured Porto’s Michelin-starred chef, together with Portugal’s top sommelier, to highlight the wonderful produce and wines of the country available right here in London’s finest Portuguese restaurant, Portal. This is just one of a number of events by Taste of Portugal 2015, and if you get the chance to attend any of them, I would highly recommend it. What a shame that, according to its website, Portal seems to have closed a week or so ago. Have I got this wrong? This tasting sounds so good. Very sad news indeed, thanks for sharing Paula!